Labels, Labels, and More DIY Labels! Posted Thursday, May 8th, 2014 by Robyn Warner. They just make everything easier. Are you going into business? Getting crafty? Feeling generous? Filling your pantry? Filling your wine cellar? Trying to be better organized? Or simply laying claim to your own stuff? A sharpie and a piece of tape works, but we’ve found some suggestions that are just as easy and much more classy. 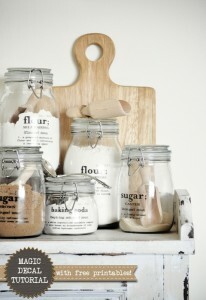 Take a look at these DIY printable labels. Ever have a guest mistake salt for sugar in their morning cup of coffee? Labels are useful in the kitchen. In the office, labels can make all the difference between a productive day and one spent trying to locate misplaced papers and bills. In the kids’ rooms, creative labels could be just the inspiration they need to keep a tidy play space. It’s worth a try! Dress up your home preserved jellies, spices, wines, or granola. These labels dress them up so much you won’t want to keep them sitting in your own pantry. A decorative touch transforms a simple jar into a touching gift. Not into canning or cooking? Maybe knitting is your thing? There’s a label for that too! Dress up your other gifts with your own gift tags or your style of custom packaging too. 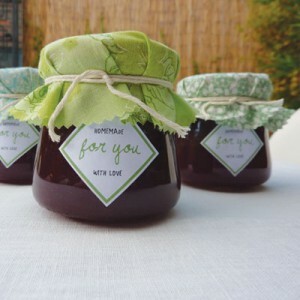 It’s hard to go wrong with gifts that are homemade, homegrown, or simply personalized with your own logo. Got an excuse to party? We’ve found labels for that too. Attention to details can make your party really memorable whether you are putting together party favors with personal flair or serving cold drinks to match the theme. There are lots of reasons to add labels to your life. We would like to help you get started.